At Rank Magic, we’re far more than technology geeks. Certainly, we’re expert in the technology. But we also keep our feet on the ground with a background that includes an MBA and experience in a Fortune 500 company’s marketing department, as well as experience running our own small business. We’ll never compromise your marketing effectiveness for high search engine rankings. And we’ll deal with you in <gasp!> ENGLISH. We avoid jargon and don’t try to impress you with geek-speak and lots of technology terms. At Rank Magic we communicate with you in plain English at all times. We also explain everything we do. When we finish an Internet marketing SEO program with you, you’ll understand what’s been done, why it’s been done, and how it works. 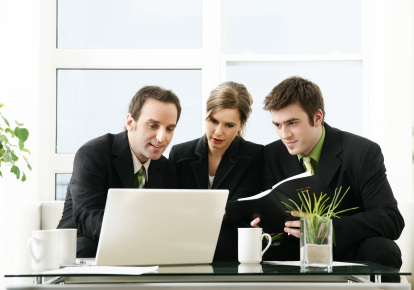 Call us for a conversation about your web site. 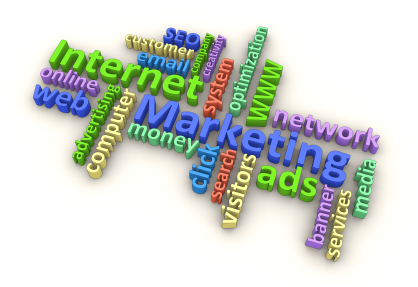 Internet Marketing is more than you might think. When Rank Magic works with you to improve your Internet marketing, we don’t just submit your web site to search engines. That doesn’t get you high rankings. And we don’t just optimize your site for high rankings. That doesn’t get you sales. SEM and Internet marketing are broad terms that includes SEO, but people typically use those terms to refer to sponsored links: pay per click (PPC) ads and other forms of paid Internet advertising. While Rank Magic doesn’t do this, we have strategic partners who can help with this. Instead, we focus on what we do best: helping our clients show up prominently on the organic or natural search results. Learn more about PPC ads here. It’s critical to remember during your SEO campaign that the true goal is increased revenue for your business. A blind on-page search engine optimization program done without that target always in mind can easily result in a web page that ranks highly for certain searches, but doesn’t attract people to click on it. Or the people who do click on it may not be your target market. SEO needs to bring the right visitors to your web site: visitors who need what you have to offer and are ready to buy. Ask us how effective Internet marketing through SEO can help your web site attract more paying customers. If you want to blindly put your website in the hands of someone who promises to do everything without your involvement, we’re not the Internet marketing company for you. But if you feel a responsibility to be intimately involved in the critical aspects of your business, including your Internet marketing, then Rank Magic may well be the best SEO firm for you. We don’t get in between you and your web designer, but instead we work directly with both of you. You and your web designer retain full control of your web site, and we advise you on exactly what needs to happen on the site to be effectively optimized for high visibility in the search engines. And we also conduct off-page link building for you. You will be dealing directly with Bill Treloar, our owner and chief SEO consultant throughout our relationship. The personal touch helps us better know you and your business and be responsive to any questions or concerns you have.